Writing is valuable. You give voice to your team, help to your customers, and benefit by getting thoughts to page: writing doesn’t just transfer ideas, it creates them. At Help Scout, we’ve always viewed “content” as another avenue to help customers get the results they need. With 2 million visitors in 2014, we thought it might be helpful to draw back the curtains in hopes that it would be useful for your writing. Capturing two years of publishing in one essay took some thinking. That’s a lot of conversations, planning, tattered notebooks, and editorial debates to nail down. 1. Marketing is enthusiasm transferred to the customer. Expecting customers to get excited about your product without your help is expecting too much. 2. Content is customer success. While effective teaching requires more than education (motivation, modeling, entertainment, etc. ), the bottom line is that content succeeds when it helps customers succeed. 3. Writing often gets in the way of teaching. David Ogilvy once said that “The temptation to entertain instead of selling is contagious.” Marketers often let flowery writing get in the way of their actual jobs. Hemingway should be your hero, not Faulkner–clarity reigns sovereign in the world of content. Make sure your education relates to the product. Reducing the number of “I didn’t know your software could do that” comments is the content team’s responsibility, too. 4. You either have a content culture, or you don’t. Either the whole team rides the content train or you never leave the station. This doesn’t require everyone to write, but it does require interest and collaboration. I can ask Justin, Becca, or anyone else on my team for research on an essay. I can schedule an impromptu call with leadership to discuss content. And I know that it’s my responsibility to inform the rest of the team what we’ve been up to lately. 5. You don’t have a tactics problem, you have a content problem. My inbox is full of smart folks looking for an answer to “Why isn’t this working?” Candor is rare, and nobody wants to say that what they are putting out is sub-par, so the lens is diverted to tactics–the successful people must know something we don’t. The disappointing truth, however, is usually that what they are creating simply isn’t good enough. The immediate solution is to use inversion thinking: what’s awful about your industry’s content right now? Do the opposite. The long-term solution is better input: more reading, cultivating connections, and having a content role model, so you can see what sort of quality is truly possible. 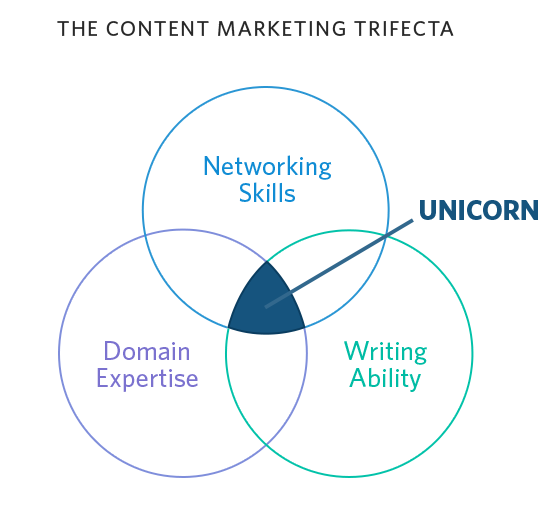 “Great content” is now a trope, but it’s also still the biggest hurdle. 6. Work on your weaknesses, but compete with your strengths. In many ways, the word “frenzy” is quite applicable to many online marketing departments. 7. Most company blogs desperately need cohesion. If “spray and pray” describes your process, you should read this essay. Creating a Table of Contents for your blog helps create a road-map that directly outlines how you plan to get customers from A → B. 8. Don’t forget about “solved” problems. One issue with creativity is that you can start to answer questions that nobody is asking. Don’t forget the perpetual problems; issues that have been around since time immemorial are always up for grabs, as long as you can solve them in a new/better way. 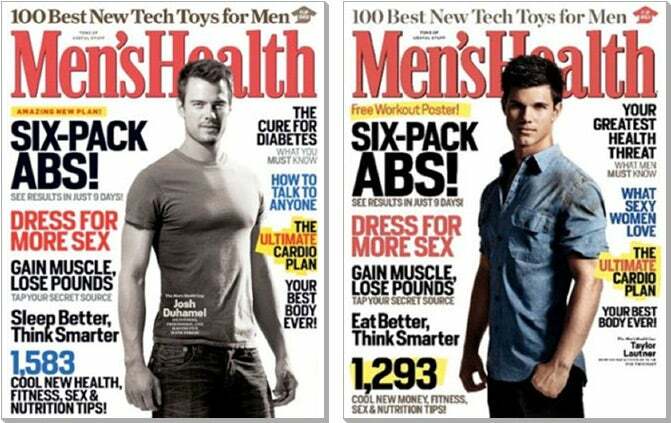 Exaggerating the point in order to make it, Men’s Health has given up on writing headlines, since they know that the market for fitness information is much greater than the actual information available. 9. Nobody wants to follow a story without a narrative. Basecamp has some brilliant marketing, and much of it is founded on a single principle: have a compelling narrative. They became the flagship company for bootstrapping, remote work, and a healthy work-life balance, all of which work incredibly well with their product management software. Becoming a team that people love following helped them grow a business that people love supporting. 10. Design is deeply embedded into the experience. How will you distribute content on your site? How will you design for conversion and the reader experience? How will you keep your best work alive long after it’s been published? A cohesive content strategy takes more than great writing; design is directly tied to reader enjoyment. 11. Email is the foundation. Email is the channel of choice for businesses who want to make sales, not #hashtags. It’s the professional social network thateveryone already uses. This doesn’t make social media useless in any sense, but email should be the core of every content marketing strategy. 12. Hate SEO? 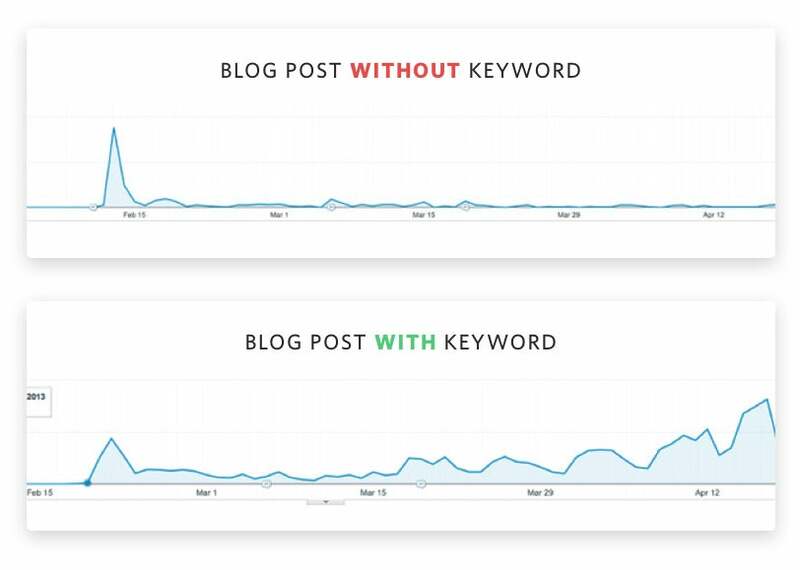 “One page, one term.” Simply taking the time to pick a solid keyword for every marketing page on your site (blog posts included) can go a long way in giving these pages shelf life. The first example below is a post without a target keyword, the second is one with a keyword that was later able to rank as the #1 result. Initial effort upfront yields dividends until you fall off the chair. 13. You should coin your best ideas. There’s a reason we refer to the Pomodoro Technique and not the original “timeboxing.” One was memorable, one wasn’t. Teaching concepts is difficult, and giving them names (“The ____ Strategy”) makes them easy to remember. Often, you can own an existing phrase by giving it the treatment it deserves (e.g., The Frugal Wow). 14. Big content is still worth the effort. Whether it be interactive, animated, beautifully designed, etc., going big pays off if you take the launch seriously. It took a while for some of our resources like The Art of Customer Loyalty to finally get the attention they deserved, but it was worth the wait. 15. A visual asset is worth 1000 words. Just about everyone has had that moment of confusion when reading a textbook, only to have it alleviated by “See Fig. A.” Visual assets, just like personal photographs, can speak a thousand words, and they are an integral part of educating customers. 16. Put the spotlight on customers. “Modeling,” the use of role models to nudge behavior, is persuasive. Let customers do your talking for you by inviting them share their story. What was their world like before your software? What was it like after? This coverage will help prospective customers find out if you are a fit, and it gives them an outcome to expect through a role model who is just like them. 17. Don’t forget your wheat bread. Amidst a web that is obsessed with churning out “53 Self Promoters Experts Talk About Something,” wheat bread content, or education that solves a tough, boring problem for customers, is often the content that converts best. 18. Organize or die. Specifically for writers: if you don’t set up a system to organize all of that potential inspiration, your writing will suffer and you’ll end up driving yourself insane. Organizing your sources thus becomes a task that should be treated seriously. 19. Distribution resembles the way comedians tell jokes. Does the world expect comedians to deliver an entirely unique performance at every show? If a comedian tells a killer joke during one show, should she never use it again? When you land a winner, think about how it can live again: remix and republish. 21. Networking is something everybody overlooks. Getting syndicated, features on big sites, being able to reach out to other people who already have audiences–all these things are accomplished by connecting to talented people. The cabin dwelling novelist is not the person you want for your first content hire. You will also struggle with availability–the best people may have a big enough platform to stay independent. Recognize early on how much of an importance domain expertise will play. The startup selling mathematical programming software is going to be limited in who they can hire (hat tip to Emma Siemasko). 23. A demand for multimedia will start a creative migration. Writers won’t soon relinquish their power to move mountains (and millions). Well-written prose will always be the bread and butter of the web, and words will always matter. But the way we’re heading, I’m convinced that a demand for multimedia education will be the catalyst for a great creative migration. I’m referring to folks like talented comics, who could be making money hand over fist by creating content for a company that values creativity (greg@helpscout, you know where to find me). 24. The best guest post is by a happy customer. When Joost de Valk and the Yoast team wrote their Help Scout review after switching to our service months before, it outclassed many of our guest posts. Guest blogging is still useful, but the content team needs to remember that the candid thoughts of a happy customer often travel much farther than their own efforts. There are worse ways to spend your time than in the support queue putting those writing talents to work helping customers out. 25. Inspiration should come from everywhere. You’ll often find that it’s best to ignore what everyone else is doing, and instead look for inspiration in tangentially related places. Journalists at the NYTimes might inspire you to improve your writing; that animated channel on YouTube may inspire you to play around with visuals. Retention has never been more important for online businesses, yet we seem to reside in a world that seeks to avoid customers—these are people, not pageviews. They no longer hire just the product, they hire the company. They care about the result as a whole. Support, success, content, the team; these all play a role. The mission at Help Scout is to help businesses provide better customer experiences. Not just to build the best helpdesk. Tools and training, not one or the other. We always have and always will write to help you get the job done. Nothing makes us happier than the newsletter being sent out and dozens of emails with questions, comments, praise, and criticism rolling in. To paraphrase Joss Whedon, the written word isn't your pet—it's your kid. It grows up and talks back to you. Thank you for a wonderful two and half years. Here’s to many more.